For @modernlittleme. A houseguest left me a surprise hedgehog a few years back, which lives on the window sill. 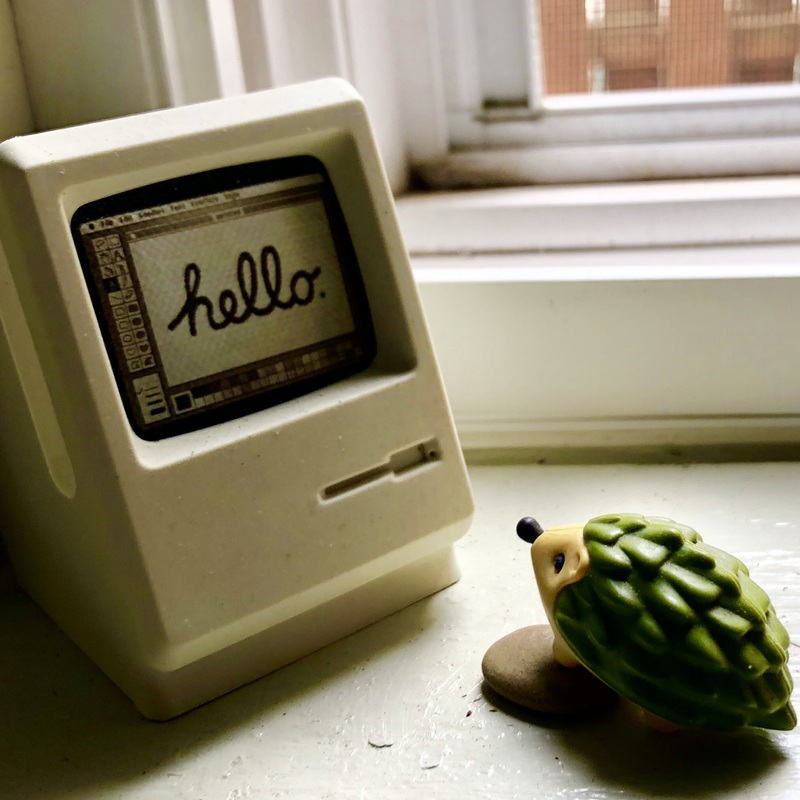 Now little Hedgie has a Mac.